Undoubtedly the Internet is a marvelous and informative resource for kids as they can learn and gain a lot of knowledge, but we can’t deny it is also a dangerous place for kids. There are many areas of the Internet which are inappropriate for kids and accidentally stumbling into these areas can lead to danger to kids such as cyberstalking, cyberbullying and cyberharrasment. Being a concerned parent, proper guidance for your kids is very important to prevent the Internet from being a harm to them. Of course being a working adult, sometimes it could be quite difficult to be alongside the kids when they are online. 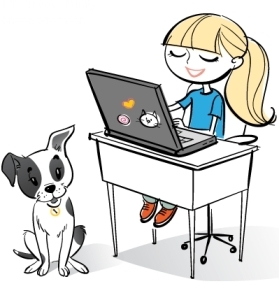 For kids’ safe internet surfing and to prevent them from falling into any danger, parents perhaps can try the solution offered by security expert, Symantec Corp, via its OnlineFamily.Norton program. Symantec’s OnlineFamily program is more than just a traditional parental control web service which allows parent to monitor and control the web sites browsed by their kids. This security tool can limit kids’ internet surfing duration, supervise their web activities, protect their personal information from being disclosed online and restrict them to certain sites. The OnlineFamily.Norton keeps parents in the loop on not only what their kids are doing online, but also what they’re interested in both on and off the Internet. Symantec’s OnlineFamily.Norton program is a pay program which costs about $60 for yearly subscription. However, currently the security expert is offering the service to parents for FREE until Jan 01, 2010. Users who want to sign up for the promotional package can log in to OnlineFamily.Norton and download the software. Once they have signed up, they can enter the names and ages of their kids for monitoring purposes. Parents thence need to install the application to the computer which they want to monitor. They need to set up the respective accounts for their kids. The installation process is pretty straightforward and users will be guided throughout the process. The OnlineFamily.Norton application supports both Windows and Mac OS. For kids’ safety and to protect kids for being hurt, parents should grab the free promotion offered by Symantec. Even when the free period is over, for a mere $5 per month, parents can be more relaxed and less worried when their kids are online.